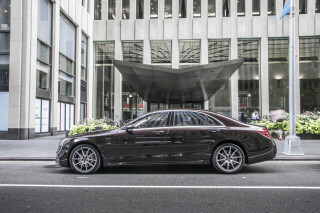 In the rarified atmosphere of high-end luxury cars, the rule is simple: don’t rock the boat. 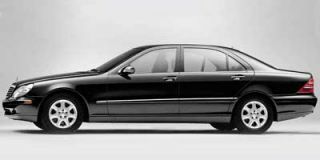 When it comes to design, the vague sort of “Euro” look of the Lexus LS430 is far more the norm than the exception. So how to explain the new 7-Series from BMW? 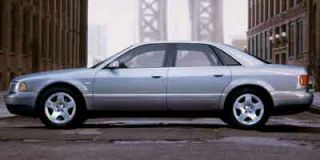 From a driving perspective, the 2003 lives up to BMW’s boasts. It’s significantly more powerful, its 4.4-liter V-8 coming just one horsepower short of last year’s V-12. 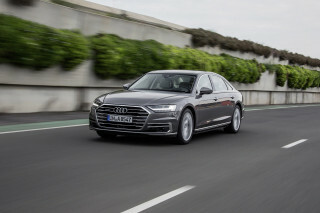 Despite its size, the sedan handles like a true performance machine, maneuvering even the twistiest roads with aplomb. There’s no questioning the lavishness of the new 745i sedan, which went on sale in Europe late last year but will only reach U.S. showrooms by late spring. From the sumptuous leather swaddling the interior to the array of creature comforts and sophisticated, onboard technology, the 7 sets new standards. And unlike the play-it-safe designs so many competitors have settled for, the 745i is visually commanding—and unabashedly controversial. Under the guidance of BMW’s chief designer, Chris Bangle, the 7-series styling team was given an intriguing but challenging mandate: few companies cherish their heritage as much, and it was essential that the new sedan be immediately and unmistakably a BMW. 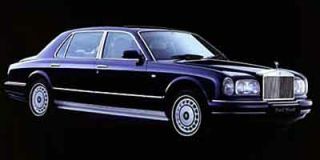 But as with the unusual tail, they needed to make the 7er more authoritative and commanding, as well as more functional. The hoodline is about an inch and a half taller, making way for all the new technology in the engine compartment. The roofline gains even more height, translating into increased interior space, especially for rear seat passengers. But that also created some challenges where the roof touches down onto the rear deck lid. The most distinctive—and many will say unsettling—feature is the bustle-back trunk, which rises notably higher than the rest of the car’s dimensions would suggest. We’ll skip the technical details except to say the dimensions enhance aerodynamics, yielding better mileage and increased downforce, especially at high speeds. 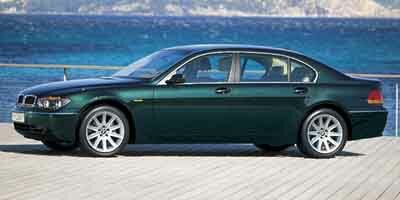 Other aspects of the 7-Series are likely to catch the eye and raise the eyebrows. Indeed, the front headlights now integrate turn signals in a manner that Bangle describes as having added eyeliner. The rear of the roof features an unusual appointment, aptly dubbed the “shark fin,” which conceals the satellite navigation and cellphone antennas. The look of the new 7-Series has generated immense controversy in Europe, and it’s likely to continue polarizing potential buyers here into either the love or hate categories. There’s no question the car is a head-turner. But while many will stare in pleasant surprise, others can’t get a grip on the new design. It’s intimidating, but we found iDrive much easier to learn than word-of-mouth had suggested. It does help to have some basic computer knowledge. If you don’t, feel reassured by the fact that all key systems, including the radio and heater, can be operated without ever touching the iDrive since there are redundant knobs and buttons for major functions. There’s also a slick voice-control system that can do anything but order your meal at a drive-in restaurant. BMW tend to be a loyal bunch. And that has a lot to do with the brand’s uncompromising approach to performance and handling. Here the new 745 lives up to everyone’s expectations. Its 4.4-liter V-8 punches out a neck-snapping 325 horsepower, up 15 percent, and enough to propel the big sedan from 0-60 in just 5.9 seconds. At the same time, the 745i delivers 13 percent better fuel economy than the old 740. That seeming contradiction results from several factors, including the surprising detail that the new car is lighter by 100 pounds than the one it replaces. But give primary credit to some incredible technology under the hood. The new throttle-less fuel injection system is more efficient and smoother at idle. Then there’s the stepless variable intake manifold. While multi-length intake runners have become the norm, the 745i’s manifold is a maze of technology that can instantly adjust the airflow path anywhere from 8.5 to nearly 24 inches, according to engine speed. Valve timing is infinitely variable. And the engine has been mated to the first-ever six-speed automatic in relatively high-volume production. The transmission’s lower gears have been tuned for takeoff, the top two are overdrive gears for better mileage. Big, 13.7-inch front and 13.6-inch rear brake rotors are more than capable of scrubbing off Autobahn speeds. These are the biggest brakes ever on a 7-Series model, and the second largest ever on any BMW. For the first time, BMW offers a V-8 with rack-and-pinion steering. Add to that a trick electronic roll control system in which the front and rear away bars have been cut in half, then mated to a smart motor system that instantly senses road forces. In a corner, it torques the sway bars to minimize roll. Add to that BMW’s stability control system, and the result is a big sedan with sports car road manners. Steering is precise and confidence inspiring, and the 745i flies through the tight-and-twisties with only the slightest hint of roll. The interior of the 745i is unquestionably more lavish than anything BMW has ever built before. One of the more unusual features is the optional matte wood finish. Ironically, the wood in some of today’s luxury cars is so glossy, it can resemble plastic. The look here is more Scandinavian, simpler, in keeping with the minimalist approach to knobs and buttons. Those that remain are within easy reach; the iDrive sits like a fighter pilot’s joystick, at the forward edge of the center armrest. 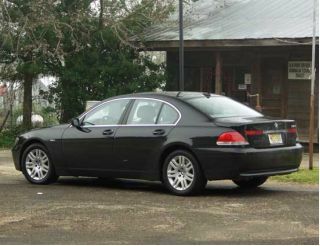 Rumors of the new 745i started circulating long before the car hit the road — and for good reason. This will be the flagship redefining an already well-defined brand. The new 745i is going to take many by surprise, and there are going to be those turned off by its unusual shape. But on the whole, it’s a wonderfully competent and luxurious vehicle that deserves a first—and if necessary, a second—look.